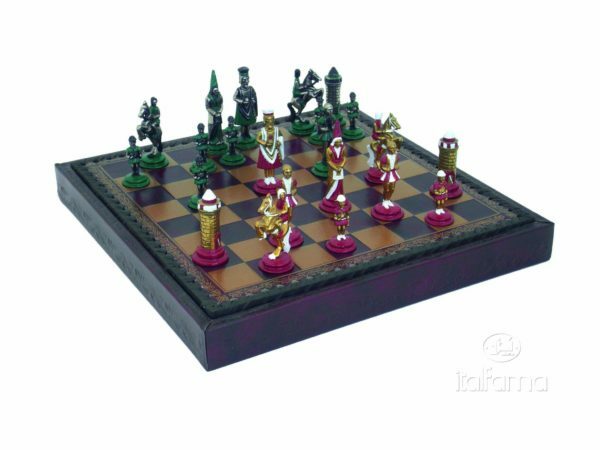 This is the Camelot chess set, it is a complete set with leatherette Chess Board with a useful chess compartment. Chess men are made in painted metal with King Arthur court figures. 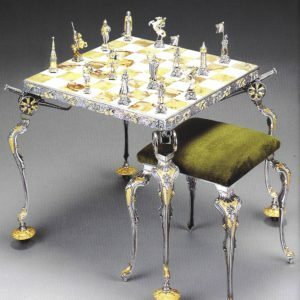 King Arthur is ready for a great battle and so is his friend, Sir Lancelot, a battle he does not wish to fight but has been forced into. 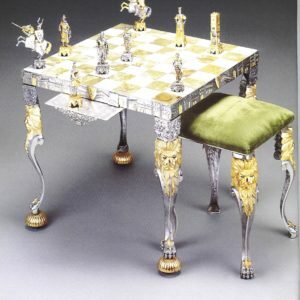 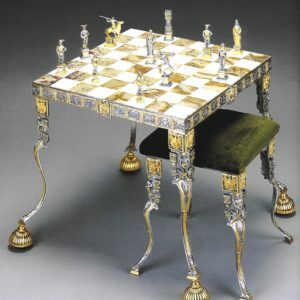 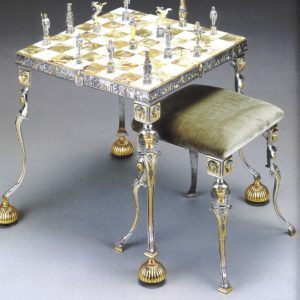 Live the mythical story with your friend, don’t mi the pleasure to play with a great chess set.